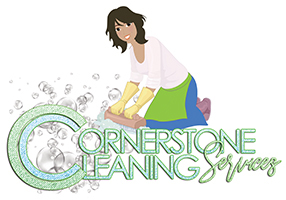 The Cornerstone Cleaning Services, LLC (CCS) will request, for lawful employment purposes, background information about you from a consumer reporting agency about your employment or application for employment (including independent contractor or temporary assignments, as applicable). This background information may be obtained in the form of consumer reports and/or investigative consumer reports (commonly known as “background check reports” or “background checks”). These background check reports may be obtained at any time after receipt of your authorization and, if you are hired or engaged by the Institute, throughout your employment or your contract period. The background check reports will be obtained by the Institute from one (or both) of the two consumer reporting agencies below. The types of information that may be obtained include, but are not limited to: social security number verification, address history, credit reports and history, criminal records and history, public court records, driving or motor vehicle records, accident history, worker’s compensation records, bankruptcy filings, educational history verification (e.g. dates of attendance, degrees obtained), employment history verification (e.g. dates of employment, salary information, reasons for termination, etc. ), personal and professional reference checks, professional licensing and certification checks, drug/alcohol testing results, and drug/alcohol history in violation of law and/or company policy. This information may be obtained from private and/or public record sources, including, as appropriate: Federal, State or Local government agencies and courthouses, educational institutions, current or former employers, personal interviews with sources such as past or present coworkers, neighbors, friends and associates, and other information sources. If the Institute should obtain information bearing on your credit worthiness, credit standing or credit capacity for reasons other than as required by law, the Institute will use such credit information to evaluate whether you would present an unacceptable risk of theft or other dishonest behavior in the job for which you are being evaluated. You have the right to request more information about the nature and scope of any investigative consumer report by contacting the applicable consumer reporting agency listed above in writing within a reasonable time after receipt of this notice. A summary of your rights under the Fair Credit Reporting Act is also being provided to you. I have carefully read and understand this Background Investigation Disclosure and Authorization form and the attached “Summary of Your Rights Under the Fair Credit Reporting Act. By my signature below, I consent to the preparation of background check reports by a consumer reporting agency and to the release of such background check reports to the Institute and its designated representatives and agents, for assisting the Institute in deciding as to my eligibility for employment (including independent contractor or temporary assignments, as applicable), promotion, retention or for other lawful employment purposes. I understand that if the Institute hires me or contracts for my services, my consent will apply, and the Institute may obtain background reports, throughout my employment or contract period to the extent permitted by law, unless I revoke or cancel my consent by sending a signed letter or statement to CSS. I understand that information contained in my employment or contractor application, or otherwise disclosed by me before or during my employment or contract assignment, if any, may be used for obtaining and evaluating background check reports on me. I also understand that nothing herein shall be construed as an offer of employment or contract for services. By my signature below, I also authorize law enforcement agencies, learning institutions (including public and private schools and universities), information service bureaus, credit bureaus, record/data repositories, courts (federal, state and local), motor vehicle records agencies, my past or present employers, the military, insurance agencies, and other applicable sources of information to furnish any and all information on me that is requested by the consumer reporting agency, another outside organization acting on behalf of the Institute, and/or the Institute itself. By my signature below, I also certify that the information I provided on and about this form is true, accurate and complete. I understand that any false statements or deliberate omissions on this document or any other document I file with the Institute may be grounds for disqualification from employment or, if discovered after I have been hired, could result in discipline up to and including termination of employment. I further acknowledge that this form in original, facsimile (fax), photocopied, or electronic (scanned or electronically signed) form, will be valid for any background check reports that may be requested by or on behalf of CSS. This signature must be that of the individual "signing" this document electronically or be made with the full knowledge and permission of the individual, otherwise it constitutes forgery under s. 831.06 , F.S. The individual "signing" this document affirms that the facts stated herein are true.